The company will be leading ‘Through the Body’ Sign Theatre workshops to accompany the Salonica European Tour in May 2017. 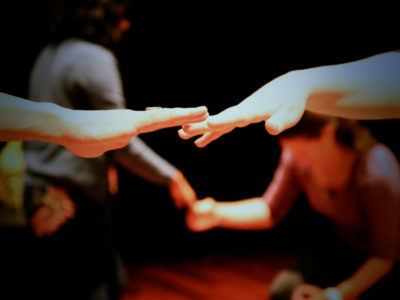 The workshops will be co-led by Deaf and hearing company members and will share the company’s processes when making accessible work for Deaf and hearing audiences. Workshops will be delivered in the UK, Serbia and Montenegro. Details will be published soon. Workshops will be led by Laura Haughey, Shaun Fahey and Mihailo Ladevac.